VACATIONS SHOULD CONSIST OF RELAXING, being pampered, and indulging in the local culture. The treatment of luxury. These 5 Caribbean locations have some of the most premier spa locations for a vital tranquil vacation. So, leave all your worries behind, embrace the culture around you, and improve your quality of life. This spa is inspired by the sun and surf, adhering to the ancient Mayan principles of earth, wind, and fire. It has created a selection of treatments by utilizing ancient healing rituals, filled with oils, aromatic herbs and spices, that restores your inner equilibrium and gives you an opportunity for rebirth. This spiritual trip will lead you to a tranquil state of mind. 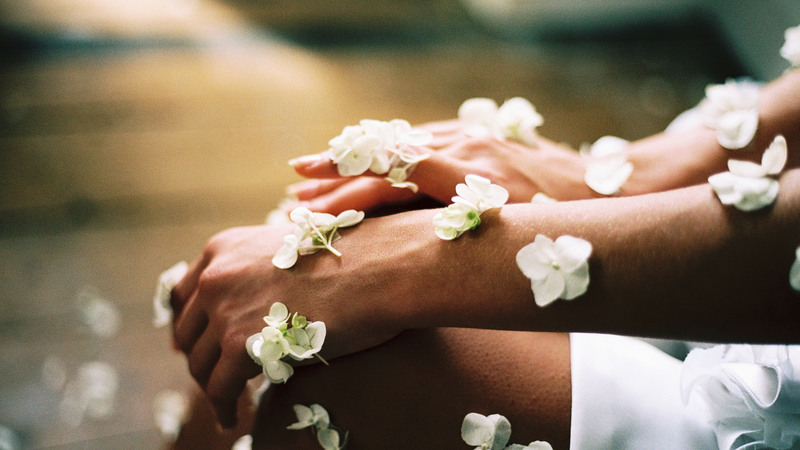 These all-natural therapies; like hydrotherapies, water journey rituals, body wraps, massages, facials, reflexology, and much more; use pure plant synergies and botanical ingredients to balance the body, mind, and spirit. This chemical-free, all-natural, Rainforest spa utilizes secrets known from the locals by using the nature of St. Lucia. “Bananas, the local pride, to firm, tighten and smooth away wrinkles; coconut to exfoliate; aloe vera to rejuvenate; and rich cocoa butter to heal and hydrate.” Besides massage therapy and facials; some signature treatments also include bamboo massages, hot rock therapies, body wraps, salt scrubs, and holistic treatments, yoga, and water sports. COMO Shambhala retreat believes in balance of the body, mind, and spirit. Inspire the soul with a place of beauty. 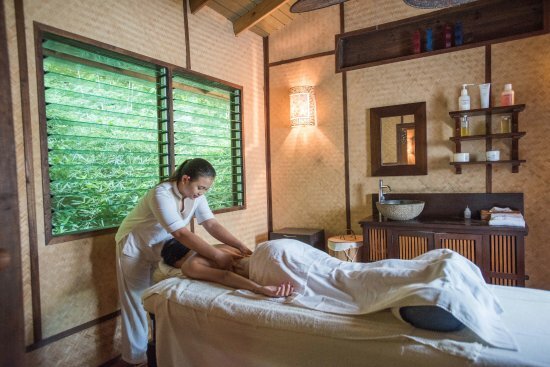 On an overlook pavilion, therapist specialize in Asian-inspired holistic therapies; like massage therapy, reflexology, body care, baths, and facials, return you to a balanced and healthy well-being. With their signature blended massage oils, you will feel calm, stress-relieved, and rejuvenated. Also partake in daily yoga, meditation, pranayama, and pilates. This Asian spa utilizes Balinese masseuse eastern techniques for massages; like rolling, kneading, stretching, thumb and palm pressure, and more; improves blood flow, relieves tension, rejuvenates and strengthens the body to heal. This includes facials, body massages, couple’s massages, hand and foot treatments, and more. The main focus is the body and mind. Within this Asian inspired environment, like the organic garden or pavilion; there is yoga, meditation, pilates, and a gym. 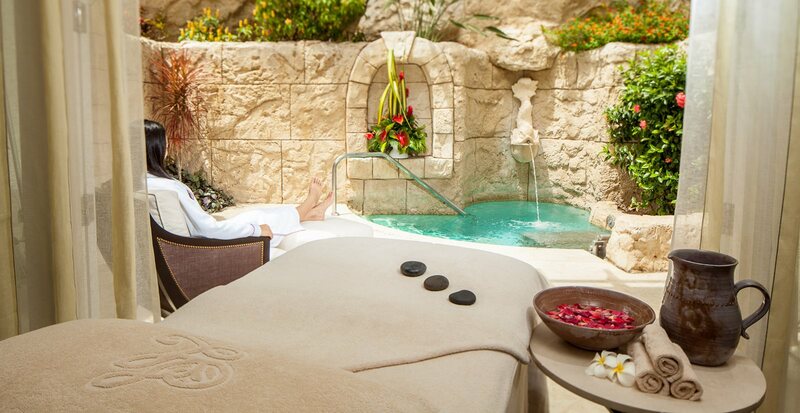 This tranquil, Caribbean spa uses Margy’s Monte Carlo and Aromatherapy products. Treatments range from massages, facials, body treatments, hydrotherapy, sauna, and much more. Each suite has its own private garden and hydrotherapy pool. Inpsire to improve your personal health and fitness by partaking in the fitness center, pilates, and yoga.